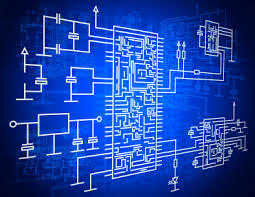 Electrical engineering deals with the study and application of electricity, electronics, and electromagnetism. Those who have settled into electrical engineering careers design develop, test, and supervise the manufacturing and distribution of equipment designed to convert electricity into power. Many electrical engineering advancements are sources of renewable energy. Renewable energy is generally defined as any source of energy that comes from an easily replenished resource. Sun, wind, rain, ocean tides and geothermal heat are a few renewable resources. Wind turbines, solar panels and dams, are just some examples of engineered sources that generate power. Electrical engineering and renewable energy go hand in hand. As the field of electrical engineering advances, more and more renewable resources to create energy are discovered. From solar power to wind power, engineers are continually working to find more efficient ways to create power. One huge advancement in the field of electrical engineering and renewable energy has been the creation of paint-on solar cells. These paper thin solar panels can be embedded in smaller, more confined places- allowing solar energy to reach places previously not possible. These cells, first developed at New Jersey’s Institute of Technology, consist of carbon nanotubes and carbon molecules that form snake-like patterns able to conduct electricity. One of the world’s fastest growing sources of renewable energy, wind power is a rapidly growing area within electrical engineering. Advancements in technology, increased fuel costs and concerns from consumers about carbon emissions have all helped fuel recent developments in wind energy. The wind turbine was the first major advancement made by electrical engineers that utilized wind as a power source. Since the creation of the wind turbine, electrical engineers have worked diligently to optimize the turbine and discover new ways of converting wind into energy. Leviathan Energy was created by Daniel Farb as a way to increase the power generated from wind turbines. This donut shaped structure was designed in a particular shape and met specific dimensions to ensure that the highest velocity wind would hit the blades of the turbine. The structure is capable of increasing the amount of energy produced by a wind turbine by 30%. Clean energy derived from algae, known as biomass power, is one of the latest advancement in renewable energy. Recent electrical engineering discoveries have shown that just one acre of algae grown today can produce 5,000 gallons of biodiesel fuel annually. In only one day, algae can quadruple in size- using just sun, water and carbon dioxide. Algae are a quick renewing resource that is carbon-neutral. Electrical engineers used to look at rock formations and see just that- rocks. Today, engineers know that these rock formations actually contain small pockets of natural gas. Horizontal drilling and hydraulic fracking led to the discovery of this hard to find, renewable resource. Due to this discovery, engineers began experimenting with a modified version of the natural gas technique for geothermal energy. According to the United States Department of Energy, this new renewable resource could potentially provide 140,000 times the total energy used across the country annually.